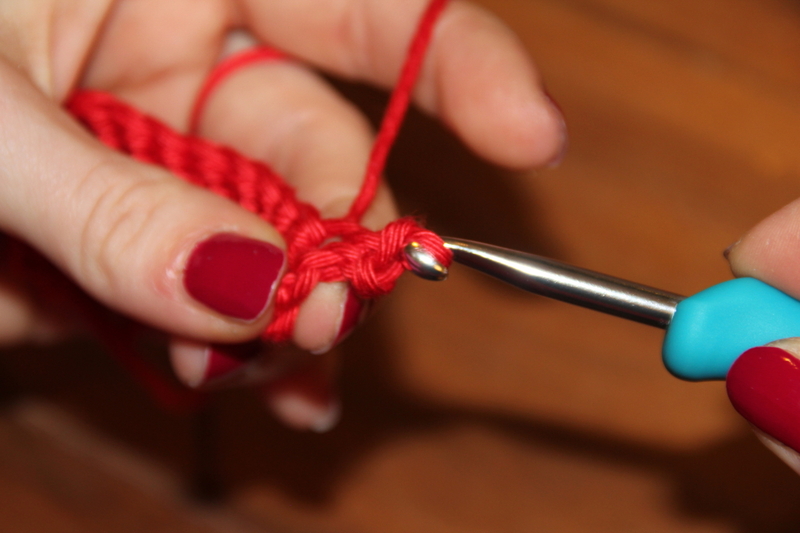 The slip stitch is a very simple stitch to end rounds, to join pieces of work and to create different effects throughout your work. 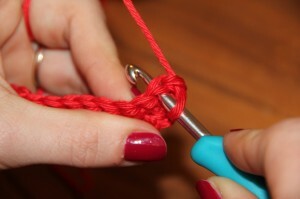 Direct your hook through the stitch of the previous round (or the first stitch of a round you are going to close). Führe die Häkelnadel durch die Masche der Vorrunde (oder der ersten Masche der Runde, die du schließen möchtest). 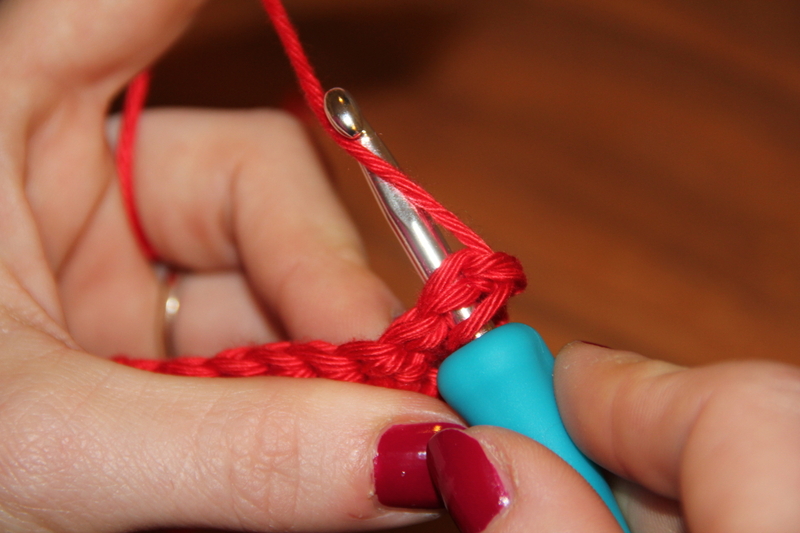 …and pull through the stitch and the loop on your hook. …und ziehe den Faden durch die Masche und die Schlinge auf deiner Häkelnadel.